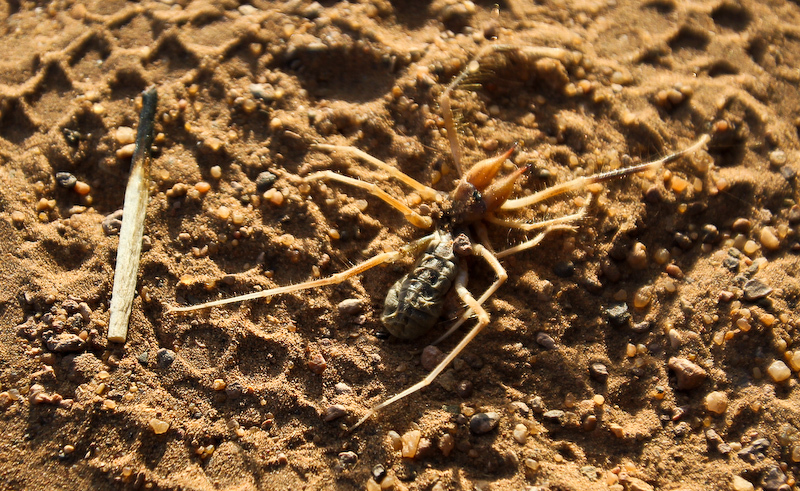 Sahara Desert spider. This little guy crawled into our tent one night during our Sahara Trek. Our guide quickly killed it. After looking at the spider more closely, I was glad he did. 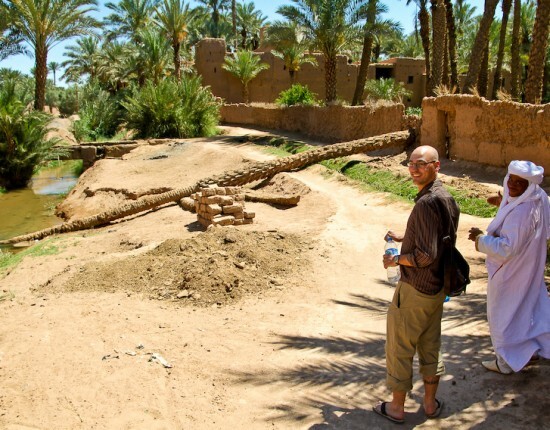 During our 3-week adventure in Morocco, I noticed some interesting things that I thought I could share with you. Currently we are in Bucharest, Romania. We just arrived here yesterday after a one day layover in Milano, Italy and before that we spent a quick two days in Madrid. I will get some photos up of Madrid shortly. In the mean time enjoy the following. 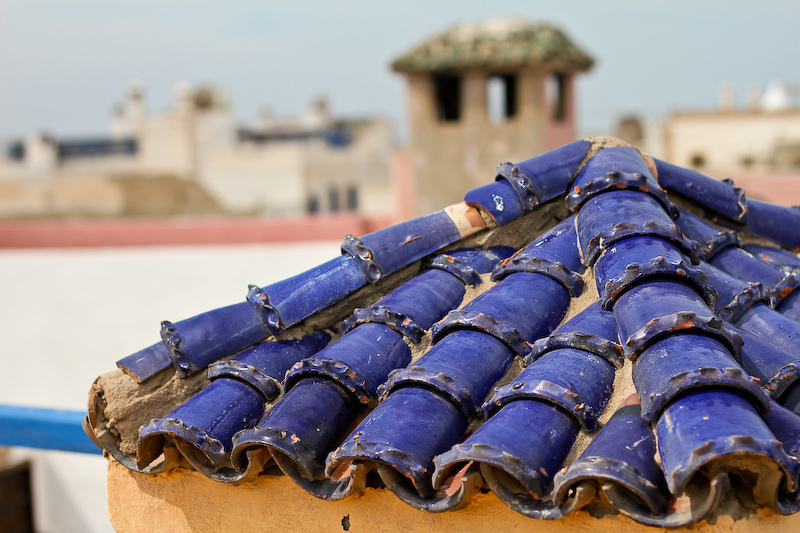 Morocco has tiles on some roofs that strongly resemble the ones used in Italy, only the tiles are smaller and are usually found in one of three colours: orangish-red, blue or green. After visiting a ceramic producing town near Zagora in south-eastern Morocco, we learnt that green is the most common and traditional colour for not only roof tiles but also any shape that can be made out of ceramic, like ash trays, serving platters, plates, sugar bowls and the infamous Moroccan tanjine pot. In fact, green is the colour of Islam. The roof tiles in Morocco are very much like the ones in Italy. They are generally green, but you'll also see blue and an orangish-red. The many different colours of the ceramics are produced with primarily natural dyes. 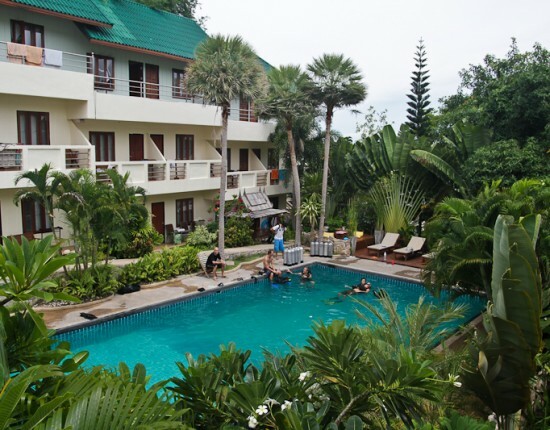 The yellow ceramics are dyed with saffron, the blue with indigo, and the light pinkish-red with henna water and lemon. The green is made from a combination of three things, one of them being copper. Some ceramics are fired once to make them off-white in colour, then they are decorated with naturally produced henna. After one more firing in the kiln, the design is everlasting. Lunch and dinner in Morocco start with complimentary bread and a small plate of fantastic fresh olives. Salt and pepper are kept in small, communal dishes on the table instead of shakers. This means everyone must use their fingers to pinch the salt and/or pepper onto their food. The pure lack of soap, toilet paper, hand blowers and paper towels in restrooms has led me to eating my meals without the aid of salt and pepper. 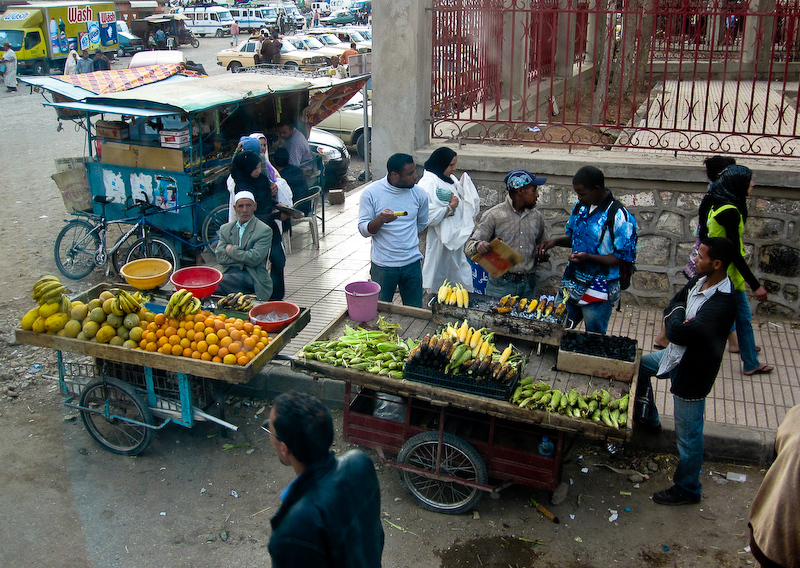 A weekly market in one of the small towns of Morocco. If you're hungry while shopping you can grab a roasted corn cob. 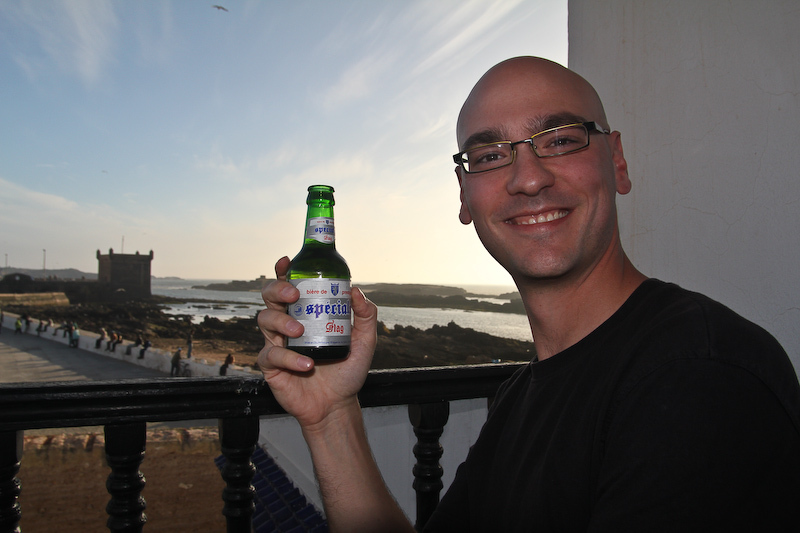 It is almost impossible to find alcohol in Morocco, although it is available. The local brew is called “SPECIAL BEER”, that’s literally and actually the name of the beer. It comes in itty-bitty 24 cl bottles. Roughly three of these bottles equates to one standard Canadian bottle of beer. The servers in one bar had a habit of leaving the empties on the table, therefore making Chris and I look like extreme alcoholics when we had accumulated 12 bottles on the table within a couple of hours. Islam is the main religion in Morocco yet prayer call is not heard as often nor as loud as in Turkey. In fact, the call to prayer in El-Jadida sounded very different. 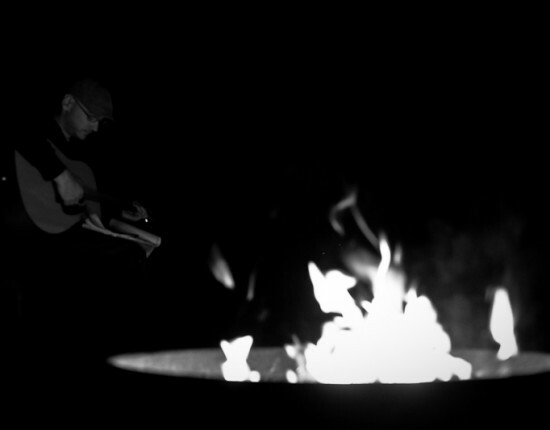 It sounded shorter and staccato. 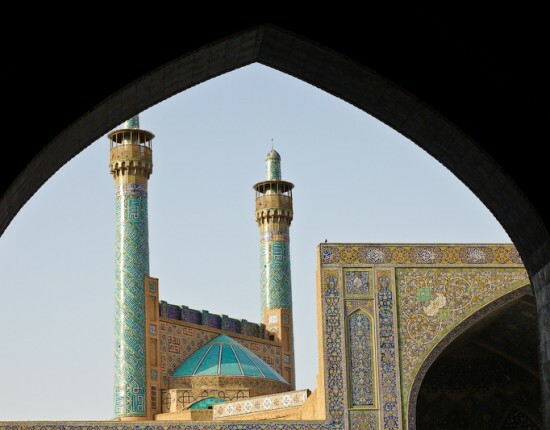 Mosques are not as plentiful or easy to locate. 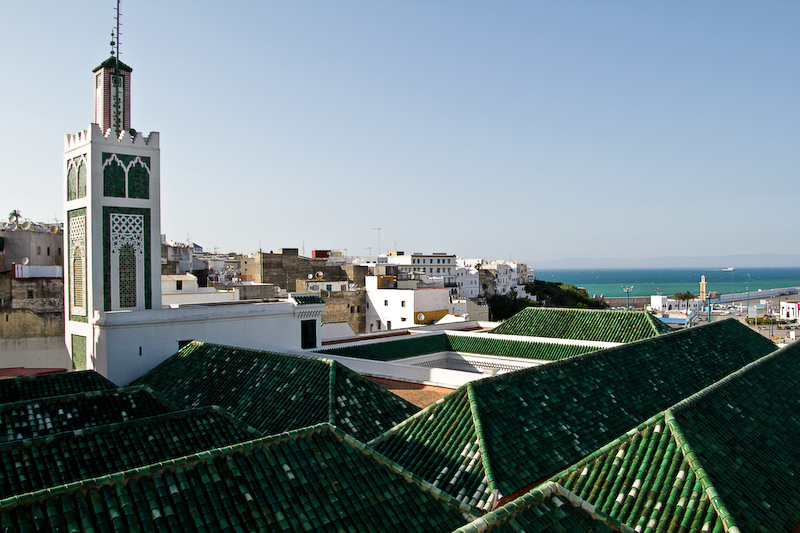 A large mosque in Tangier's medina overlooking the Strait of Gibraltar. You can just make out Spain in the distance. The only indication of a building being a mosque is the 5-6 story square tower. There are no domed roofs, extra spires, or elaborate decorations and tile work like the mosques of Turkey. In a sense, the mosques had a much more humble feeling. Young girls and adolescence wear western styled clothes like tight emo-jeans and T-shirt. The majority of women and teenage girls wear headscarves and occasionally you’ll see a girl as young as seven wearing one. The women here must have huge wardrobes in order to have a headscarf that perfectly matches the long-sleeved shirt which she has to wear under the floor-length backless summer dress. This is the attire of a very modern Moroccan lady in a big city like Meknes or Fes. The traditional outfit of Moroccan women. It is worn over their normal clothes, like a jacket. In nearly all the rural cities, towns and still within the larger cities the majority of women continue to wear the traditional outfit, a long-sleeved, ankle-length, hooded, “jacket”. Patterns and colours are limited only by the imagination. 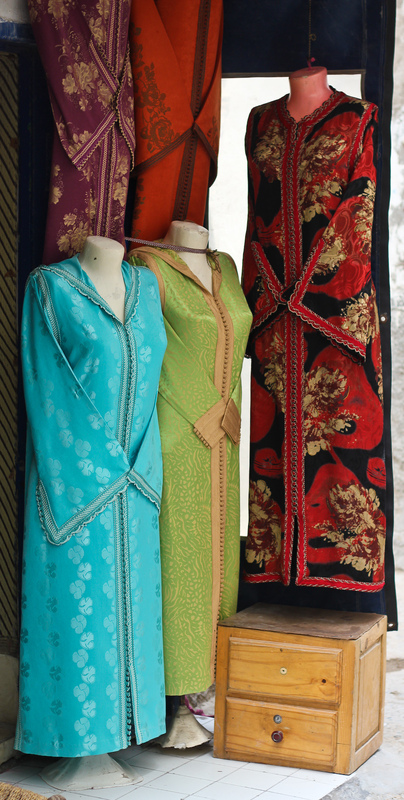 They come in patterns like leopard, zebra, bright red, green, purple, floral print, vibrant turquoise etc. 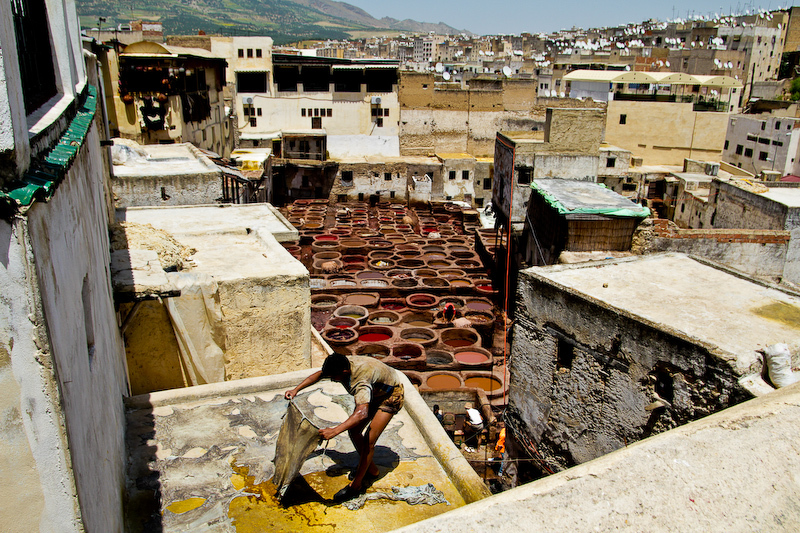 The tanneries in Fez's medina souk. This is one of the first stages in creating the many fashionable bags or purses for sale. 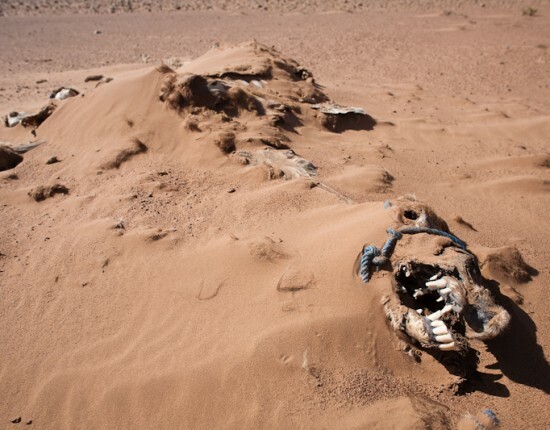 The entire area reeked of death (like Brooks Alberta). The variety of mens dress exceeds anything yet seen in the history of the Western world. Primarily men just wear pants and collared T-shirts, but you will also see men in thobes (a long-sleeved, floor length, white coloured outfit, which kind of looks like a dress shirt that’s been tailored to the ankles), a jacket somewhat like the ladies only without the hood and slightly wider cut and lastly some men wear long-sleeved, floor length, hooded robes usually dark brown or green in colour. 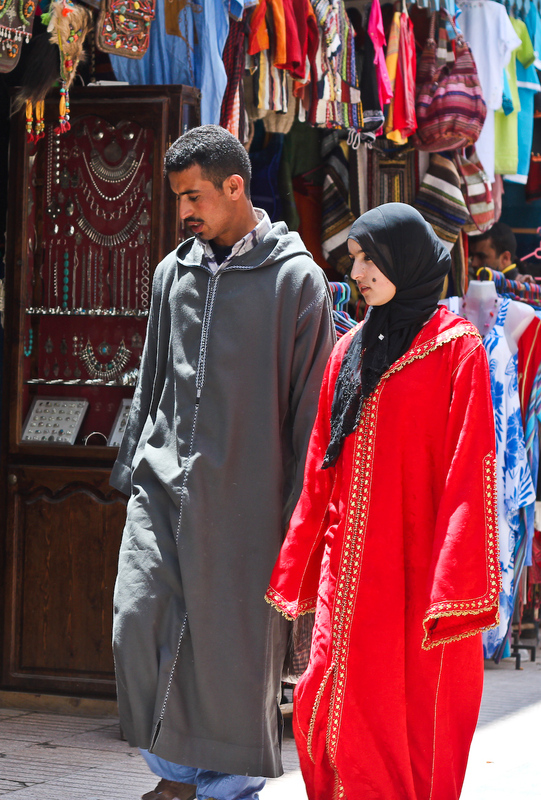 A husband and wife stroll through the Eassouria medina souk together. When men are dressed in these with the hood up they remind me of the Jwa’s from Star Wars. The hoods are very unique in how they point at the top and how the men fold them up so they can see. 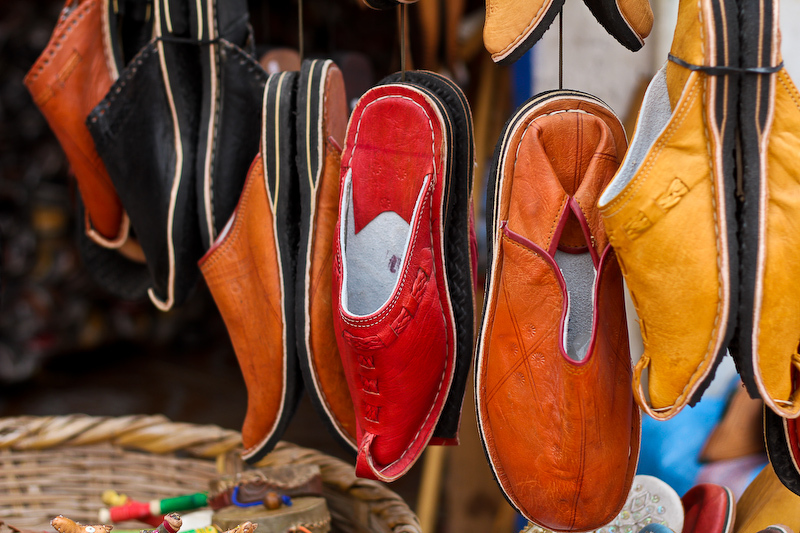 This style of shoe is “very Moroccan”. All ages of people wear them. It is almost as if the design of the shoe developed out of function (like most things). You know when you’re in a hurry to catch someone who just left your house, how you slip on your shoes really quickly flattening the heals into the shoe? The Moroccan shoe looks like this has happened to all of them, only the maker sewed down the heel in the squished down position. Carry around soap in a plastic bag in your purse because 98% of toilets do not have any type of hand sanitizer. It is also wise to carry around hand sanitizer to use before/after toilets and eating. 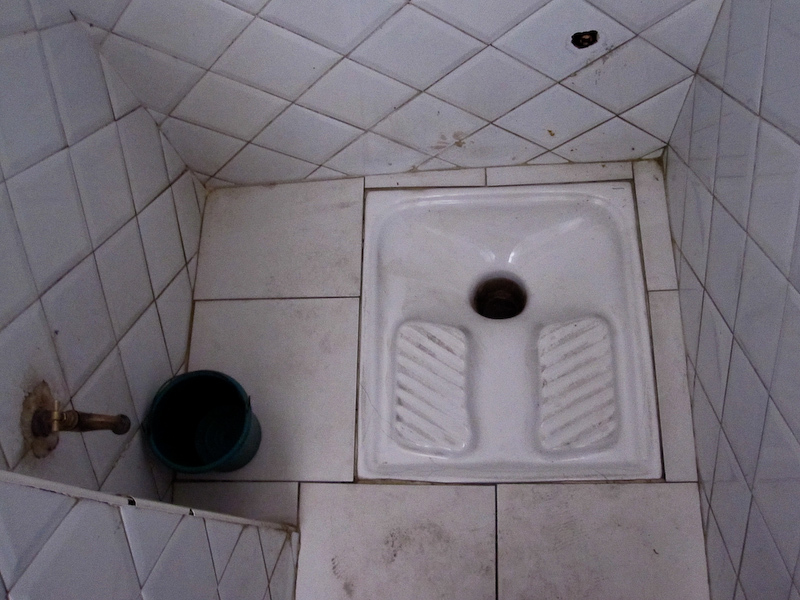 In Morocco , 95% of the toilets are squat toilets. If you are not use to these it helps to wear a skirt which can be easily lifted out of the way. Squat toilets are everywhere in Morocco. To avoid as much spray back as possible it is important to put your feet at quite a wide stance, but even more important is squatting as low as you can (without falling into the festering hole of waste beneath you!). My last piece of advice on how to squat properly and come out relatively clean is aim. The better you are at aiming for the drain increases your chance of less spray back by ten. Some squat toilets have a flush, some don’t. Look up and around for a string to flush. If you don’t see anything, I can guarantee you’ll see a tap and a little bucket. Without thinking about it too much, turn on the tap, fill the bucket and dump it down the hole. This must be the most energy efficient flush on the planet, but now you see why I highly recommend carrying soap and hand sanitizer. Toilet paper, very important, is not used really in many places believe it or not. Carry your own toilet paper at all times. Sometimes there will be a garbage bin with you and your squat toilet. If not, try to use as little as possible and wash it down the drain with your little bucket. Do not put tampons down the toilets, you may really, really regret it.